The Exploding Heads review the weekend in the Premier League, including Swansea forgetting to turn on VAR and Millwall fan’s actually caring. The Premier League remains Europe’s most international, multicultural top-flight league in terms of players and managers, and yet somehow there often seems to be a distinctly old-school feel to the football. For instance, Pep Guardiola has spoken of the importance of coping with winning second balls, while Jurgen Klopp has spoken about the need to deal with the inclement weather. Tactically, things are somewhat different: we’re in the age of false nines and gegenpressing, rather than long balls and the use of 4-4-2 formations. But the past couple of weeks have felt like something of a throwback, with various sides using two centre-forwards upfront together, often with great success. These remain the principle two ways to deploy a two-man strike force, especially because the midfield diamond — as Ole Gunnar Solskjaer has occasionally used this season — now largely means the two forwards are starting from the flanks, too far apart to combine regularly. The difference, of course, was that Arsenal had a designated playmaker conducting things from behind the lines, while Manchester United’s duo needed to cope by themselves. And, while Arsenal emerged triumphant and Solskjaer felt compelled to change formation to match Arsenal and press them better in midfield, it was actually Manchester United’s duo who worked together more effectively. Lukaku and Rashford played well together, with both taking turns to drop deep, link play, and find their strike partner. An early ball from Lukaku forced Sokratis Papastathopoulos to defend the far post well before Rashford could pounce. Next, Rashford came short, fired a ball into Lukaku, who rounded Bernd Leno but couldn’t quite finish. Later, the same combination — Rashford pass, Lukaku running through — forced Leno into another smart stop with his outstretched leg. 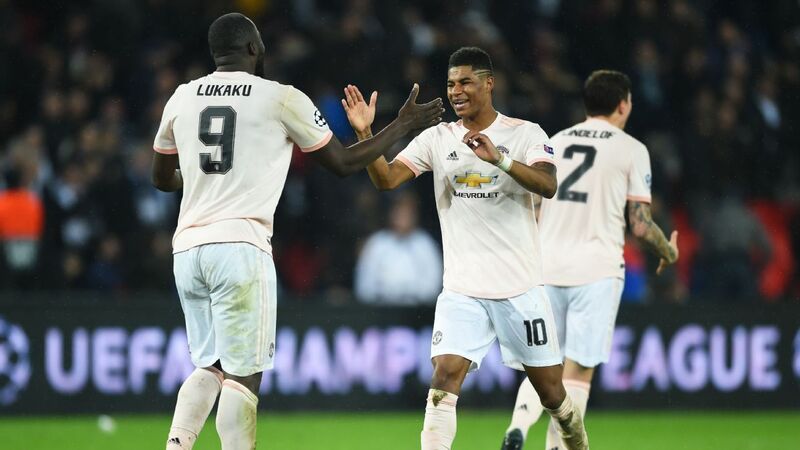 Marcus Rashford and Romelu Lukaku have developed a successful partnership since Ole Gunnar Solskjaer took over at Man United. Arsenal’s back three, in theory, should have been capable of coping with two strikers, but Rashford and Lukaku appeared to be on the same wavelength. They may not be quite at the level of Dwight Yorke and Andy Cole yet, although the familiar sight of Solskjaer on the bench offers a link between the two that the manager will surely mention. Lacazette and Aubameyang have a curious relationship. Off the pitch they’re extremely close; on the pitch they can function together in the same side, although their combination play isn’t particularly notable, and there are questions about whether the 3-4-1-2 suits Arsenal’s other players. Ozil hasn’t particularly thrived in his No. 10 role, despite that being his best position on paper. After determinedly sticking to 3-4-3 throughout the first few months of the campaign, Nuno Espirito Santo’s decision to introduce an extra midfielder has had two attacking benefits. First, it means Wolves are getting more late runners into the box. 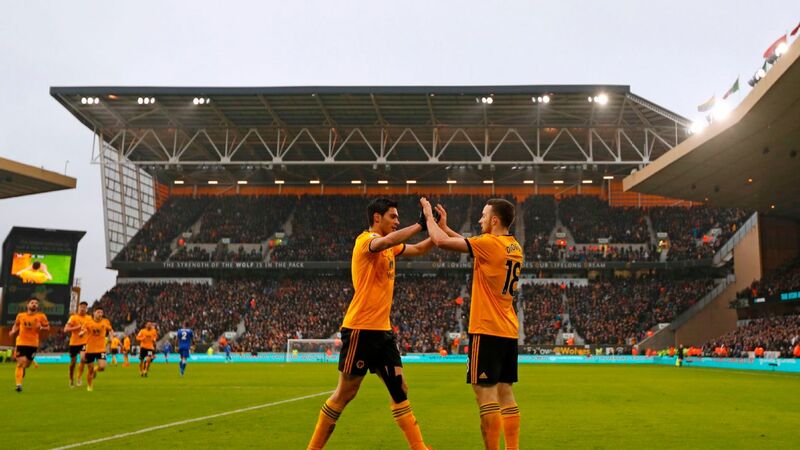 Secondly, the partnership between Diogo Jota and Raul Jimenez is working excellently, and they were both on target in the victory over Manchester United at Molineux. Their second goal summarised how effectively they work together; Wolves played a direct pass up through the centre to Jimenez, who released Jota in behind. The Portuguese forward beat two United defenders, streaked clear and finished superbly past Sergio Romero. Jimenez and Jota are at their best when they do exactly that: combine through the centre of the pitch, and that was particularly obvious for Wolves’ goal in a 1-1 draw at Stamford Bridge last weekend. Having spent the entire game parked on the edge of their own box, suddenly Jota and Jimenez broke through the centre of the pitch together, swapping passes to break past Antonio Rudiger and David Luiz — it wasn’t merely a one-two, more of a three-four. The previous weekend, Jota and Jimenez had created goals for one another in a 2-0 win over Cardiff. The opener was particularly good: Jimenez crossed from the right, Jota chested down and then laid the ball back for Jimenez, who had darted into the box to convert into an empty net. But that’s actually the opposite of how they generally combine — Jimenez excels with his back to goal with clever link play, while Jota is eternally scampering into space. They work well together precisely because they’re such different types of players. Diogo Jota and Raul Jimenez have combined for 18 goals and 10 assists so far this season for Wolves. Their combination play for the first goal was excellent, with a long ball finding Perez, who nodded down for Rondon. He collected the knock-down, found Perez again and chipped a lovely return pass for Rondon to crash home a left-footed volley. Like Wolves’ opener vs. Chelsea, it was a three-four. After Perez pounced on a rebound to equalise, that combination brought Newcastle’s winner, again from an aerial ball — Rondon brought the ball down with his thigh, while Perez was on hand to smash it into the net. Was it an intentional assist? Perhaps not, but the presence of two strikers in the box proved crucial. And ultimately, two upfront remains the alternative for most Premier League sides. Watford are one of the few top-flight teams who generally start with a two-man strikeforce, but for last weekend’s trip to Manchester City they went 5-4-1, deploying Andre Gray alone upfront. In the second half, with Watford 3-1 down, Javi Gracia decided to revert to the old system, bringing on Troy Deeney and Gerard Deulofeu to play upfront together. Within 10 seconds, Watford had got a goal back — a long ball towards Deeney saw him nod down for Deulofeu to finish, the classic big-man-little-man combination. Nicolas Otamendi was found wanting for the goal, as if he hadn’t adjusted mentally yet to face two strikers. That’s arguably the main point here. Centre-backs have become so accustomed to playing against a lone striker — taking it in turns to track him, and then getting themselves into a covering position — that when forced to cope two-against-two, they struggle badly because they’re presented with an unfamiliar problem. Two upfront isn’t quite making a comeback, but it remains a valuable weapon in a side’s tactical arsenal that is capable of causing defenders seriously problems.